We are change-makers, fuelled by first hand insight. We are committed to improving the health of the UK through the collective power of our members. University hospitals are integral to our health service. They deliver our NHS services, train the future workforce and advance patient treatment through ground-breaking research. 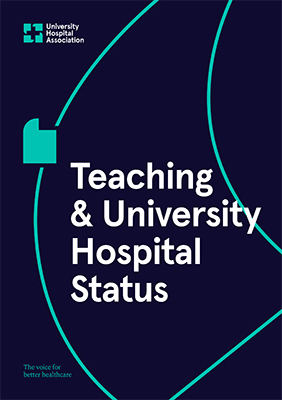 As the largest voice of university hospitals, we bring experts and organisations together to share best practice, inform government policy and deliver better patient outcomes.